As every off-road enthusiast can attest – there is nothing more capable to take out on the trails than an AEV lifted Jeep. Here in Keene, there is one dealership that is most trusted by residents who are looking for new lifted Jeeps for sale – and that’s Keene Chrysler Dodge Jeep Ram. Just a short drive from Brattleboro, Keene CDJR is proud to offer professionally outfitted Jeep vehicles for all-terrain adventure. As the most trusted dealership for all things lifted Jeeps, Keene CDJR is proud to be an authorized dealer of American Expedition Vehicle parts and accessories. Whether you are looking for a pre-modded AEV Jeep Wrangler, or are seeking out a place to buy genuine parts and accessories to install a lift kit yourself – we have you covered. 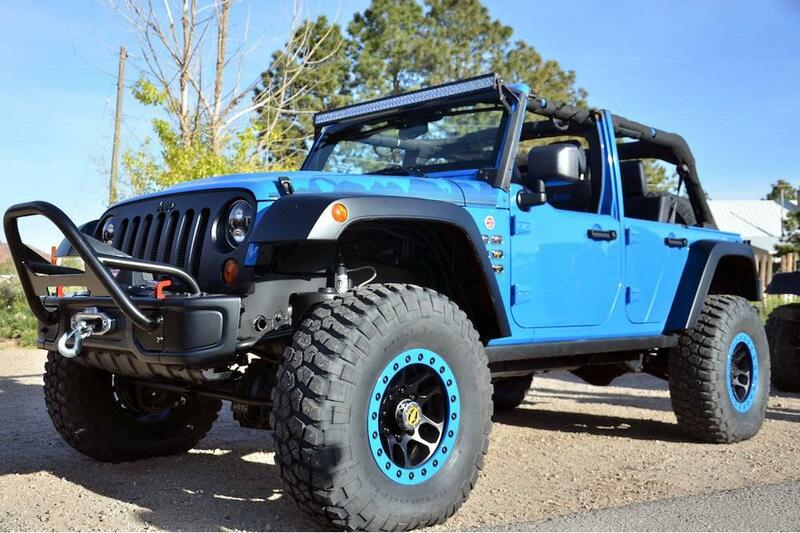 As one of your premier lifted Jeep dealers, we don’t simply sell a modified Jeep and call it a day. Our team lives and breathes off-road adventure, which is just one of the many reasons Swanzey residents trust us the most for their modified Jeep needs. Our number one mission is customer satisfaction, which is why we take the time to ensure you are comfortable behind the wheel of your new and improved lifted Jeep. If you are dreaming of lifted Jeep adventures on the amazing New England trails, but aren’t sure where your skill level lies, fear not! Whether you are ready to climb steep mountainsides, or simply want to be able to traverse uneven muddy terrain, Keene CDJR has the perfect AEV lift kit to satisfy your needs. As an authorized dealer of American Expedition Vehicle parts and accessories, Keene CDJR has access to the entire lineup of AEV lift kits and capable accessories. Not only are we authorized to sell AEV Wranglers, but our technicians are specifically trained to install AEV lift kits. Take a look at the popular AEV packages available below and decide which is the right fit for your comfort level and budget. This entry-level package from AEV boasts plenty of fun off-road gear, without breaking the bank. For drivers on a stricter budget and who are just getting their feet wet when it comes to off-roading, the JK200 package is a great choice. This basic AEV package includes off-road lights, AEV badging, logo headrests, AEV front and rear bumpers, and a non-winch cover plate. Changes to the physical appearance of a Jeep modded with an AEV JK200 package may seem subtle, but they make a big impression. The kit also comes with a 2-inch spacer lift, which allows for 33-inch all-terrain tire installation and increased ground clearance. The extra three inches are enough to stand out from stock Jeep Wranglers on the road, without breaking the bank. Drivers who are feeling extra eager to conquer tougher off-road trails, the AEV JK250 package has plenty of capable features. This package includes all of the aesthetic modifications from the JK200 group, but also adds plenty of fun mechanical components on top of it. Most notably, the JK250 package adds speciality brakes, sub cases, and shocks to help ease your way from the smooth pavement to the bumpy off-road terrain. As fun and practical as those features are, the biggest draw to this package over the JK200 is the addition of a 2.5-inch DualSport XT Suspension system. Adding an extra two-inches to the already three-inch lift on the JK200, the JK250 package can accommodate 35-inch all-terrain tires on modded Jeep Wrangler SUVs. This is the mid-level package that is perfect for drivers who are still getting comfortable with off-roading, but who aren’t willing to sacrifice access to some badass northeast trails. Now that we have touched on the entry and mid-level options for AEV lift kits – let’s take a look at the king of off-roading. The JK250 package from American Expedition Vehicles takes off-roading very seriously. Designed for the most serious of off-road adventurers, any Jeep vehicle modified with this AEV kit will be able to conquer any trail it encounters. Effortlessly crawl over rocks, up mountains, and across sand, mud, and gravel in your JK350 lifted Wrangler. The AEV JK350 lift kit includes everything that the JK250 package does, but adds even more capability for off-road adventure. A heat reduction hood ensures that even when your Jeep is huffing and puffing up a mountain, it won’t overheat and give up halfway to the top. A winch mount with a WARN winch gives you added confidence as you dive deep into the Walpole wilderness. Finally, a 3.5-inch DualSport SC Suspension allows for the installation of 37-inch tires and makes room for some serious ground clearance. When your Jeep Wrangler is modded out with a top of the line JK350 package from American Expedition Vehicles, there is nothing stopping you from overcoming any and all obstacles you encounter along the way. One of the most compelling and unique aspects of an AEV lift kit, is that it offers as much on-road comfort as it does off-road performance. As much as we would love to spend all of our time in the wilderness, eventually we all must rely on our lifted Wrangler to get us to and from the office. While other lift kits can hinder on-road performance, AEV has engineered their packages to do the opposite. When your Wrangler is treated to the professional installation of an AEV lift kit at Keene CDJR, you will be amazed at how smooth the transition from off-road to on-road actually is. The AEV DualSport suspension was designed for high-end performance out on the trails, and out on the open road. Simply put, Keene CDJR lives and breathes lifted Jeeps. As the only AEV authorized dealer in all of New England, we love nothing more than to lift Jeep vehicles in our state-of-the-art shop, and take buyers out on the trail to demonstrate how incredibly well they handle. Aside from providing new lifted Jeeps for sale and installing AEV lift kits, Keene CDJR offers a full inventory of parts and accessories that will enhance your Jeep even further. 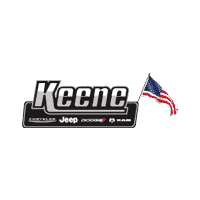 Come down to Keene CDJR and get the best of the best for your Jeep today – from the one and only most respected lifted Jeep dealers in the area. It doesn’t matter if you are buying your very first lifted Jeep, or are a seasoned off-roading expert – we would love to discuss how the team at Keene CDJR can help you realize your full all-terrain potential.